Steven R. McQueen is officially engaged. It has been confirmed that "Vampire Diaries" alum Steven R. McQueen recently got engaged to his girlfriend Allie Silva after more than a year of dating. While this may be great news to most "Vampire Diaries" fans, it's also a sad day for some as the 29-year-old actor will soon be off the market. On Thursday both McQueen and Silva took to Instagram to announce their engagement. For the actor, he simply shared a picture of himself sharing a sweet kiss with Silva in what appears to be a romantic date night captioned with: "She said yes." Silva, whose real name is Alexandra, also shared the same photo, captioning it with a sweet message for her boyfriend and now-fiancee, saying, "My best friend, love of my life...YES, yes yes a million times over @steven_r_mcqueen." It has been more than a year since McQueen first started dating the 29-year-old model. And while it hadn't been that long since they got together, it looks like their love has blossomed to the point where they want to spend the rest of their lives together. Steven R. McQueen starred as Jeremy Gilbert in the CW series "Vampire Diaries," playing the role of Nina Dobrev's character, Elena Gilbert's brother/cousin. 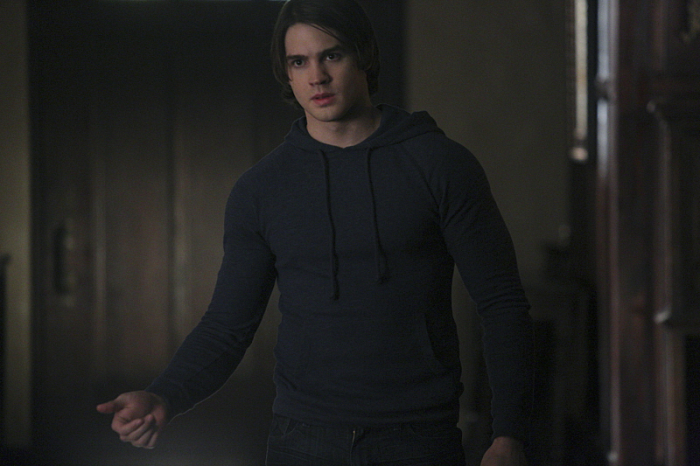 The series ran from 2009 until last year, and throughout the show's run, Steven R. McQueen played an incredible presence being part of the main cast from the first to the sixth season and taking a break during the seventh season. He returned just in time for the show's final season. After the "Vampire Diaries," the actor appeared on "Chicago P.D." and "Chicago Fire" as Jimmy Borrelli. Apart from his career as an actor, the soon-to-be-wedded McQueen is also involved in many charitable activities, such as traveling around the world to help build houses for those who are in need.